Anton Page are pleased to have let the 4th floor at 20 Old Street, London EC1 to a private equity investment and advisory firm, Maple Knoll Capital. 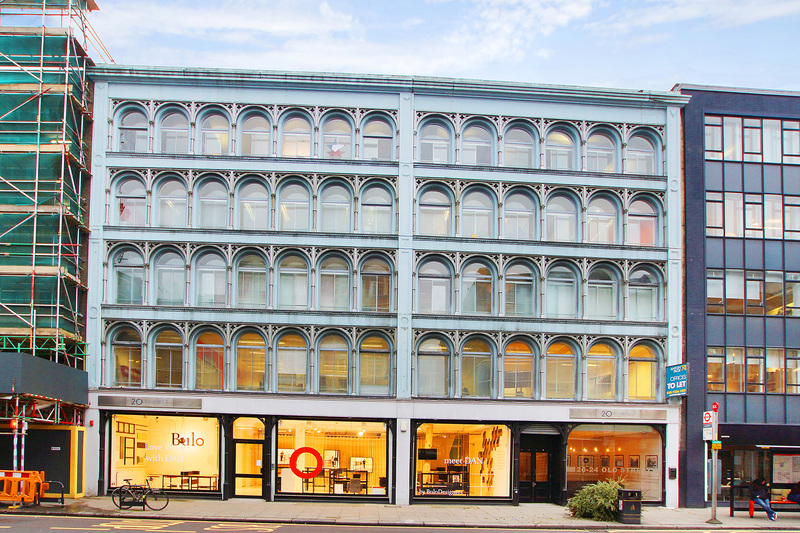 The 4th floor here at 20 Old Street comprises of 1,800 sq. ft. and a plethora of amenities including great natural light, raised floors, comfort cooling, a lift and a new entry phone system. It was on the market for just £37.50 per sq. ft. and considered fantastic value for money for the top floor in a Grade II listed, former warehouse building. The offices here are uniquely positioned to benefit from a variety cafes, bars, restaurants as well as excellent transport links. Old Street and Barbican Underground stations are easily accessible by foot and the location benefits from various links to the City and West End. Maple Knoll Capital have taken the space on a lease term of 5 years. Their primary focus is on real estate investment opportunities and they have great experience in sourcing, executing and managing risk-adjusted investments for themselves and their clients. With the on-going gentrification of the surrounding Old Street and Shoreditch, along with brand new development schemes left, right and center, Maple Knoll Capital will fit in well and utilise the floor as their London base. We have many other fantastic letting opportunities in and around EC1… call us now for more information!